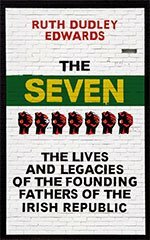 The Seven — The Lives and Legacies of the Founding Fathers of the Irish Republic was published by Oneworld on 22nd March 2016. Short-listed for the Orwell Prize. Killing The Emperors: UK paperback edition published in July 2013 by Allison & Busby. Published in 2012 in the US by Poisoned Pen Press; published in the UK by Allison & Busby. Killing the Emperors was shortlisted for two awards at Crimefest 2013 — the Goldsboro Last Laugh Award and the eDunnit Award. It won the Goldsboro Last Laugh Award. The Sinking Admiral is a collaborative novel by 14 members of the Detection Club – Simon Brett (editor), Kate Charles, Natasha Cooper, Stella Duffy, Martin Edwards, Ruth Dudley Edwards, Tim Heald, Michael Jecks, Janet Laurence, Peter Lovesey, Michael Ridpath, David Roberts, L.C. Tyler and Laura Wilson. Aftermath: the Omagh Bombing and the Families’ Pursuit of Justice— published by Harvill & Secker on 2 July 2009. Paperback edition published in March 2012. Welcome to the Ruth Dudley Edwards updated website! Sometime academic, teacher, marketing executive and civil servant, Ruth Dudley Edwards has been a freelance writer since 1979. Ruth was born and brought up in Dublin, was a student at University College Dublin, a post- graduate at Cambridge University and now lives in London. A historian and prize-winning biographer (the James Tait Black Memorial Prize for Victor Gollancz: a biography), her recent non-fiction books include True Brits: inside the Foreign Office, The Pursuit of Reason: The Economist 1843-1993, The Faithful Tribe: an intimate portrait of the loyal institutions (shortlisted for the Channel 4 political book prize) and Newspapermen: Hugh Cudlipp, Cecil Harmsworth King and the glory days of Fleet Street and Aftermath: the Omagh bombings and the families pursuit of justice (longlisted for the Orwell Prize, shortlisted for the Christopher Ewart-Biggs Memorial Prize and winner of the Crime Writers’ Association Gold Dagger for Non-Fiction). In the 1970s Ruth wrote her first book, An Atlas of Irish History, the third edition of which was published in 2005. Patrick Pearse: the triumph of failure, which won the National University of Ireland Prize for Historical Research in 1978, was reissued in 2006 with a new foreword. 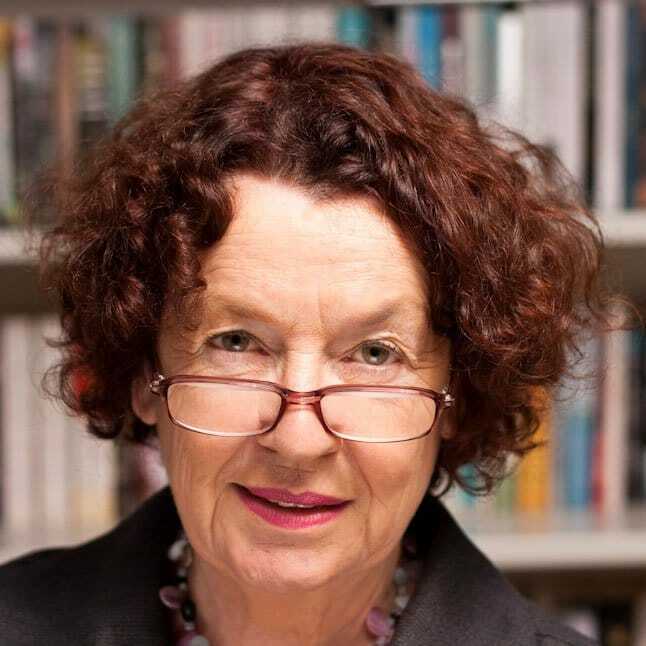 Since 1993 Ruth has written seriously and/or frivolously for almost every national newspaper in the Republic of Ireland and the United Kingdom and appears frequently on radio and television in the Republic of Ireland, the UK and on the BBC World Service. Ruth describes herself as British-Irish and is comfortable with being culturally both Irish and English. See her essay The Outsider published in Britain and Ireland: Lives Entwined II (British Council, September 2006). Her crime novels satirise establishments. The Anglo-Irish Murders, her ninth crime novel, is a satire on the peace process, her tenth, Carnage on the Committee, is set in literary London, Murdering Americans, set in the academic world of Indiana, was next and her latest is Killing the Emperors, an assault on the madhouse that is the world of modern art. Read her article on this along with Making Fun of Academics, which she often does. Ruth was shortlisted by the Crime Writers’ Association for the John Creasey Award for the best first novel and twice for the Last Laugh award for the funniest crime novel of the year. Murdering Americans won the Last Laugh award at CrimeFest, Bristol, 2008.